A recent study of data collected by NASA's Wide-Field Infrared Explorer (WISE) spacecraft may have exorcised the notion of the hypothesized and sometimes fabled "Planet X," a phantom planet that has been conjured up at various times in an attempt to explain observed phenomena in the solar system. The hunt for this ghost has not been easy. Optical telescopes have been challenged in finding planets and planet-like objects more distant than Neptune or as small as Pluto. At those distances sunlight is simply not very bright, and any sunlight that might reflect from an object has a long way to travel back to our telescopes. But WISE employed its sixth sense -- infrared vision -- to seek out emanations of heat from objects that are otherwise too small, too dark or too distant to have been detected by previous observations. With regard to Planet X, WISE observations have concluded that within our solar system there exist no planets of Saturn's size or larger within 10,000 astronomical units (AU, where 1 AU equals about 93 million miles, the distance from the sun to the Earth), and no planets of Jupiter's size or larger within 26,000 AU. In comparison, Pluto is about 40 AU from the sun. The name Planet X has been aptly (if not somewhat algebraically) created to represent a world unseen, but speculated to orbit the sun somewhere beyond the known territory of the solar system. In the early 1900s, the planet Neptune, though never referred to as Planet X, was hypothesized to exist based on perturbations in the orbital motion of Uranus—and so far this is the only instance of a "phantom planet" materializing from mathematics and becoming real. Astronomer Percival Lowell commenced on a search for a Planet X in the early 20th-century, a hypothetical major planet beyond the orbit of Neptune. Lowell believed that differences in the positions of Uranus and Neptune from predicted values were caused by this unseen mass. Lowell's Planet X was not discovered, however, in the course of the search; and after his death, Pluto was. Amusingly, the discovery of Pluto—long named as a planet—would have made Planet X the tenth planet, giving double meaning to the X. Planet X haunted us again when it was incorporated into a theory to explain some of Earth's major mass extinction events. Also named planet "Nemesis," this new ghost world's role in theory was as a "rabble rouser of comets." As the theory went, a massive planet, or even a dim, low-mass stellar companion to our sun, orbiting slowly and at great distance far beyond Pluto and Neptune, would periodically pass through and gravitationally disturb a comet-dense belt. Not unlike kicking up a cloud of dust when going over a room with a feather duster, comets would be flung in new directions, some of them falling to the inner solar system in a sort of "comet storm," greatly increasing the chances of an impact with planets like Earth. Over the years, astronomers have searched through different sets of observational data for a massive body at the right distance from the sun for its orbital period to correlate with mass extinction events on Earth. Nemesis also was never found, and other theories for many of the mass extinctions that do not involve celestial impacts have been explored. And now the WISE mission has placed some finality on the non-existence of this particular phantom. Failure to perceive the long-sought after shadow planet in no way means failure of the WISE mission. Finding Planet X wasn't what NASA set out to accomplish anyway. WISE's goal was to make an all-sky survey of infrared emissions from previously overlooked or otherwise unseen objects. In fact, WISE discovered considerably more objects in our solar system's stellar neighborhood than were previously known: dim, low-mass stars, and also brown dwarfs, a class of object larger than a gas giant planet yet less massive than the smallest nuclear-fusion-powered stars. 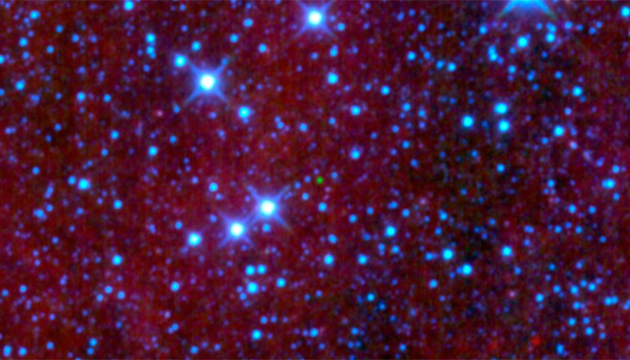 All told, WISE discovered 3,525 low-mass stars and brown dwarfs within 500 light years of our sun, among them a star only 20 light years away and a pair of brown dwarfs only 6.5 light years from us—the closest star system discovered in nearly a century. WISE also captured images of 750 million asteroids, stars, and galaxies. And though WISE was put to sleep in 2011 at the end of its primary mission, last September the spacecraft was revived and given a new name and mission: NEOWISE, finder of potentially hazardous near-Earth objects (NEOs). NEOWISE will also observe previously known comets and asteroids to improve our understanding of their sizes and compositions. As for the phantom planet, as the song goes (sort of), if there's something strange in your neighborhood, who you gonna call? In this case, WISE, the Planet-X-buster.